So far I've had nothing but good experiences with Tablas Creek wines and this one continues the string. Light in color, it smelled and tasted like a Viognier with ripe and natural apricot, peach and flowery aromas and flavors. Richly mouthfilling and creamy at first, buoyant acidity emerged to balance it all out. 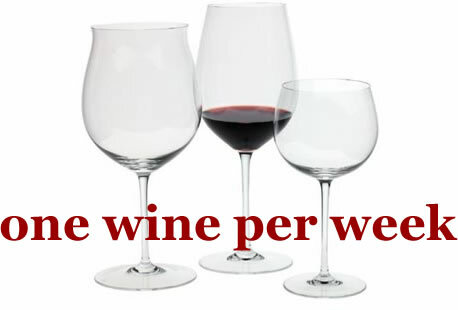 I liked this wine because of the pure, flavorful fruit and its balance. I would suggest consuming it now or in the near future to make the most of the fresh fruit. $21.60 direct from the winery, this is another two-thumbs up winner from Tablas Creek. Here's the YouTube matching music video for the wine. Click here if you can't see it below. I had a craze on Viognier last year, and then backed off, maybe it's time to re-introduce it into a balanced wine diet. 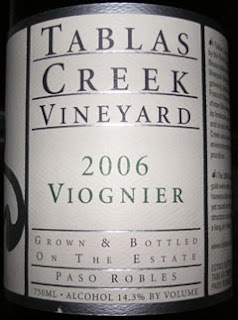 Well if you get back into Viognier, you can't go wrong with Tablas Creek! Twisted Oak's 2006 is a good one, too!